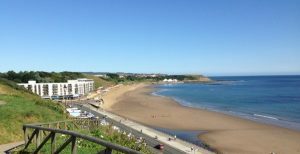 Scarborough’s North Bay is one of the few seaside resorts which holds onto the traditional seaside atmosphere and activities which families have enjoyed for many years. Some of the many things to do in the North Bay! Also within walking distance of Robyn’s is Northstead Manor Gardens. Which contains attractions such as the largest open air theatre in Europe. www.scarboroughopenairtheatre.com Top acts performing this year include Jess Glynn, Years and Years, Sir Cliff Richard, Madness and many more top bands. Just a short stroll takes you to a number of cafes and restaurants to suit all tastes. As well as an awarding winning fish and chip shop! Scarborough town centre – Offers a wide range of shops and facilities including a shopping centre and many big high street names like M&S and Debenhams. The old fishing harbour and the old Market Building still trading on 2 floors. The South bay is also home to The Spa entertainment complex and the more traditional sea side pass times of fish and chip restaurants, entertainment arcades and donkey rides. Between the North and South Bays, there is something for everyone to enjoy. 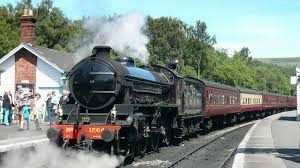 Scarborough is also within easy reach of the North Yorkshire Moors, ‘Heartbeat Country’ which offers the opportunity for amazing walks and journeys on the North Yorkshire Moors Railway www.nymr.co.uk/ and visits to the “Aidensfield Arms and Scrips Garage” at Goathland. If you are wanting retail therapy York is merely a 50 minute train journey away. and The Outlet discount Shopping centre on the outskirts of York. 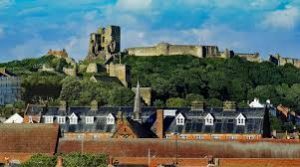 Scarborough welcomes visitors throughout the year and has something for visitors of all ages and interests. Annual Jazz Festival which is a yearly festival at the spa. A great coup for North Yorkshire following the opening stages of The Tour de Yorkshire is the annual Tour de Yorkshire which started in 2015.